To promote road safety and discipline, Republic Act 10913 or the Anti-Distracted Driving Law was enforced yesterday by the implementing agencies - Land Transportation Office (LTO) with the Metropolitan Manila Development Authority and local government units bearing a hand. Distracted driving refers to the acts of using any electronic devices or gadgets as source of entertainment, computation and communication or any means of distraction such as mobile phones when the vehicle whether diplomatic, public or private is in motion or in temporary halt during traffic or at a stop light. Bicycles, "habal-habal", pedicabs and carriages, as long as it concerns public safety, like driving or operating in public streets and highway, are covered in the provision of this Act. 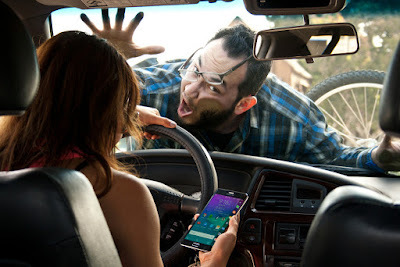 The use of wireless earphones, microphones, speaker phones and other hand-free devices is considered not distracting with the understanding that the devices' placement does not block or interfere the driver's line of sight; not attached on the steering wheel nor the car's dashboard. There are exemptions however that includes, but not limited to, emergency calls from health providers, fire department, law enforcing agency, if there are accidents or explosions and when personal security and safety is under compromise. Those drivers who use devices with istalled navigational apps such as Google Maps and Waze can still use it as long as it does not interfere the driver's view. It is also advised when the driver is in need of finding traffic routes, he must pull over to the side. With LTO's lead, the deputized enforcers such as the MMDA and LGU personnels have all the rights to apprehend violators and carry out enforcing affairs. Every violation is subject for penalties. A fine of P5,000 for the first offense, P10,000 for the second and P15,000 for the third one plus a three-month suspension of the driver's license. Exceeding the third offense, violators are penalized with P20,000 and the revocation of the driver's license. I also found a revised version in this post!